Board games have a way of bringing people together. Whether you prefer party games or brain-burners, there’s something for you in this list. Here are eight new family board games to give (or get!) this Christmas. If you take a look at my Amazon wish list at any given moment, it is sure to have board games on it. Nothing means “family quality time” to me quite like getting together to play games. Whether they are competitive or cooperative, short or long, light or heavily strategic, games have a special way of bringing people together. They make a perfect gift! Since today’s boardgame market is constantly changing, it can be hard to keep up with all the new games that come out each year. But don’t worry — that’s why I’m here! 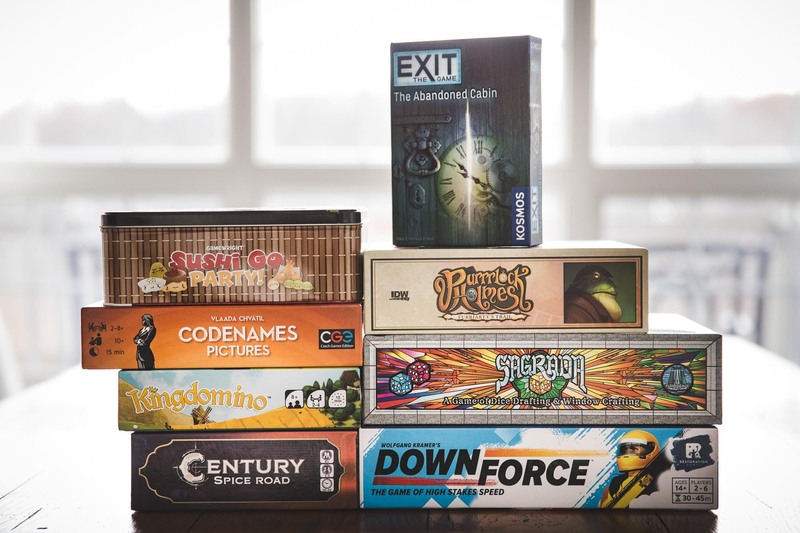 I’ve selected eight games that are fairly new (released in 2016 or 2017) that would make great additions to any family’s board game collection. I’ve played all of them, and each one has a place on our game shelves. Note: These games are geared toward families with kids aged 8 and up. This post may contain affiliate links, which means I make a small commission (at no additional cost to you) if you make a purchase. 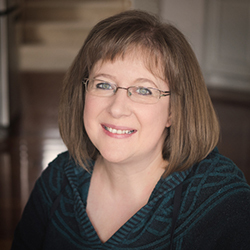 See my disclosure page for more information. A popular follow up to Gamewright’s 2013 release of Sushi Go!, this 2016 version offers the fun card-drafting of the original, with much-improved flexibility and replayability. Sushi Go Party accommodates from 2-8 players and is targeted to ages 8 and up. 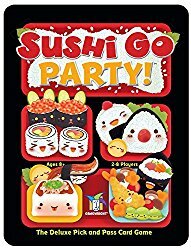 It contains the same adorable sushi-themed art as the original Sushi Go, but has additional types of sushi (cards), which allow for various combinations of appetizers, entrees, specials, and desserts. This means that every time you play, you determine what the “menu” will be for that particular game. There are plenty of opportunities to mix things up, and to try new combinations and strategies. The game stays fresh and new for a long time. A regular favorite in our house, Sushi Go Party is easy to learn, easy to teach, and provides enjoyment for all ages. Choose a card from your hand to place in front of you, then pass the remaining cards to the next player, while receiving cards from the player on your right. Continue until all cards have been played. Collect the right combinations of cards in order to score the most points by the end of three rounds. Kingdomino is the winner of the 2017 Spiel des Jahres, which is kind of a big deal in the board game world. This tile-laying game is reminiscent of dominoes, since each tile you choose and add to your “kingdom” has two distinct halves. The game plays quickly — often in just 15 minutes — and is suitable for 2-4 players ages 8 and up. (I suspect there are some younger gamers who would catch on to this game quickly as well.) 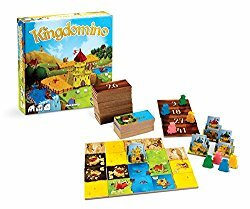 The Spiel des Jahres seeks to recognize family games that are outstanding in quality and design, and I agree that Kingdomino fits this designation well. Choose domino tiles to add to your kingdom, creating contiguous “territories” (mountains, fields, lakes, etc.). Score points by combining high-point tiles with large territories, and win the game by constructing the best-scoring kingdom. 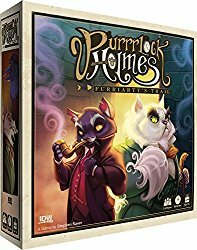 Purrrlock Holmes: Furriarty’s Trail is my favorite deduction game of 2017. Don’t let the cat/animal theme fool you — Purrrlock Holmes will have you on the edge of your seat as you and the other players do your best to catch the villain Furriarty, while you each try to win the honor of “Chief Inspector” by the end of the game. The semi-cooperative nature of the game provides a twist that keeps things interesting. Two to five players can play this game, and it is recommended for ages 10 and up. Use clues given by other players to identify a series of bad guys on your quest to stop your arch-enemy (Furriarty) from skipping town. Work with other players to stop Furriarty, while seeking to gain the most points from your personal investigations, so that you can be the ultimate winner. You can find more detail about the gameplay in my review of Purrrlock Holmes. 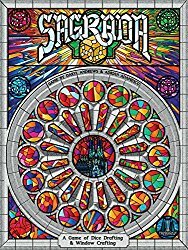 I admit, I was first drawn to Sagrada by the multi-colored dice and unique player boards created to look like stained-glass windows. But the puzzle aspect quickly cemented my love for this beautiful abstract family game. Sagrada can be a bit of a brain-burner, as you seek to fit dice onto your board while following certain number- and color-placement rules. With every round, your options become more limited and you are forced to make trickier decisions. You finish the game with a beautiful layout , and a desire to play “just one more time.” Bonus: Sagrada has a solo play option! Sagrada works for 1-4 players, and while the box says ages 14 and up, younger kids can certainly give this one a try. Take turns drafting (choosing) dice from a common pool to place on your stained-glass-window player board. Dice must be placed according to placement rules, but special tools can help if you get stuck. Pursue both public and private scoring objectives in order to accumulate the most points and win the game. 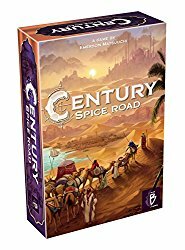 In Century: Spice Road, players are caravan leaders seeking to deliver spices far and wide in order to gain fame and fortune. Beautiful artwork, simple gameplay, and the process of building your deck of action cards each game combine to make Century: Spice Road a winner in my book. During the game, you will use cards you have accumulated in your deck to take various actions with spices (basically, small wooden cubes) on your quest to score points. You can try to make occasional big plays for big points, or more frequent, smaller-scoring plays. The game — which is suitable for 2-5 players age 8 and up — plays quickly, and leaves me wanting to play again. Use cards you have earned in order to collect, exchange, and upgrade spices. Trade in specific combinations of spices for scoring cards (as well possible bonus coins). End the game with the most points and you win. Car-racing, secret bets, and fast-paced action all add up to the exciting, easy-to-play family game, Downforce. Six race cars will be making their way around a track (the double-sided board gives you two from which to choose) while players strategize in order to get the cars they own across the finish line first. But even if things look hopeless for your own race cars, you can still earn points by betting on the ultimate winners. The board takes up a lot of table space, but once you have it set up and the game is in progress, it looks gorgeous. Difficult decisions might plague you and keep tensions high, but the game moves along so quickly that there’s no time to get bogged down. Multiple paths to earning points keeps everyone in the game, and the optional player powers keep the replayability of Downforce high. A big hit with kids, this game is still plenty of fun for mom! 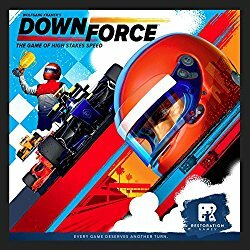 Downforce is for 2-6 players, age 10 and up (we think younger kids would enjoy this, using the included simplified ruleset). Play cards in order to move cars along a race track, paying careful attention to timing. Use player powers and special cards to your advantage. Earn points both by pushing your cars to the front of the pack and by betting on winners. Each spymaster is given specific cards from the grid that their team must find, and specific cards that their team must *not* choose. 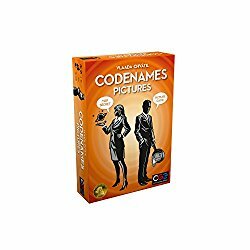 If you’ve played Codenames, the game play is essentially the same, except the cards now have pictures on them, instead of words. I enjoy both equally, and would recommend picking up either (or both!) for your next family gathering. As a team game, it is suitable for 2-8 players (or more), and works well for kids ages 10 and higher. Carefully analyze your spymaster’s clues in order to identify the correct cards from the grid on the table, while being careful to avoid dangerous cards. Win by being the first team to find all the correct cards. The Abandoned Cabin is different from all the other games on this list because you can only play it one time. That’s right: one and done. And that’s because this game — an attempt at distilling the popular “escape room” activity into a tabletop game — involves cutting, folding, and writing on the game components to the extent that they can only be used once. 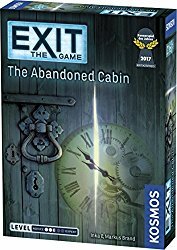 In The Abandoned Cabin (as well as the other games in the Exit: the Game series), players work together to solve a progression of clues in order to “escape,” or win the game. Though I haven’t personally participated in a live escape room (yet! ), I’ve heard from others that this game series does a pretty good job at translating the experience to a small box of fun. My husband, our 11-year-old son, and I played this game over Thanksgiving and *loved* it. We were able to bounce ideas off each other, which really helped with some of the out-of-the-box thinking required to solve the puzzles. And while we needed a couple hints to keep us moving, we were able to solve all the clues and “escape” in about 90 minutes. We are truly looking forward to playing the other games in the series. Exit games are recommended for 1-6 players age 12 and up. We would amend that to say that younger kids can participate, but that playing with more than 3 or 4 players would be difficult, as you are all hunched around a book and some clue cards for much of the game. Work together to solve mysterious puzzles. Check your answers using a very cool code dial. Access hints as needed, but be careful — they will lower your final score.